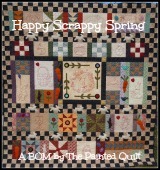 Celebrating a hot summer weekend by joining Kim and other stitchers for another Scrappy Sunday. My stitching this week has been focused on getting quilt tops ready to send out to Western Canada where they will be given to flood victims who lost so much in the recent floods. I cannot even begin to imagine the devastation where so many lost so much. A quilted hug might go a tiny way to provide comfort and warmth. 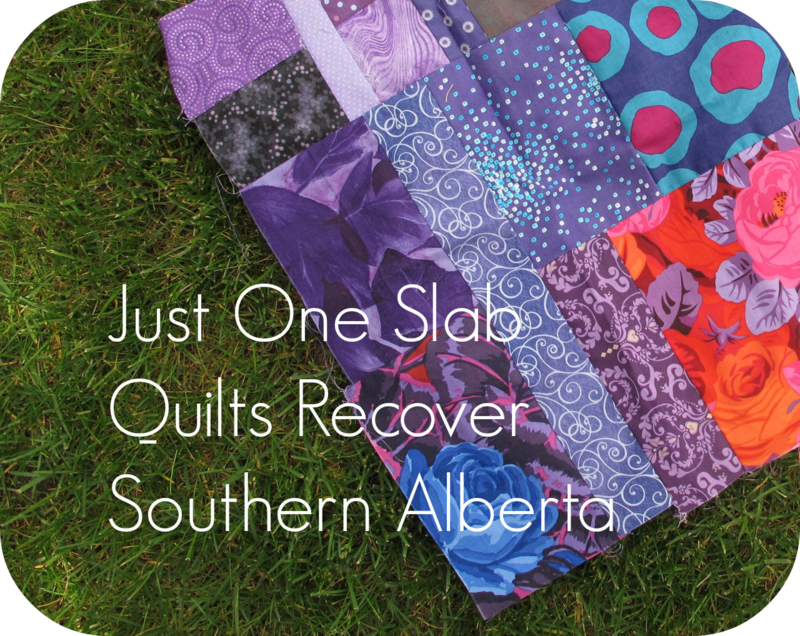 There are quilting angels in both Calgary and Edmonton who will assemble quilt blocks, long arm quilt, bind and distribute any tops and finished quilts sent their way. The flower prints in my pink bordered top remind me of a cheerful garden warmed by the sun. This top was also waiting..... Both of these hold many memories because I see sew much history in their fabric. This week I will prepare backs and binding and get all ready to mail. 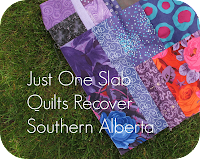 I might even stitch a few of the "Slabs For Alberta" to include. Cheryl at Dining Room Empire is helping to coordinate this. If you are on FB check out Quilting For Calgary. Can't think of a better way to empty the scrap basket. Happy Summer Stitching. 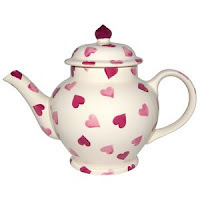 Maybe it is ice tea we should be sipping today. 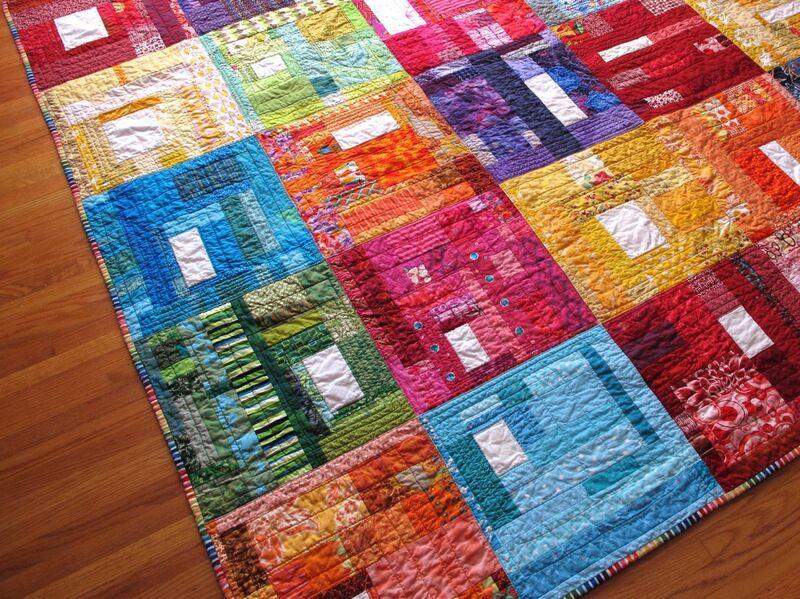 It's so sweet of you to give your quilts to the flood victims. I know they will appreciate them. All of them are beautiful. Love your scrappy quilts and love that they are going to someone who can use them!! Beautiful quilt tops Frances and such a wonderful cause!